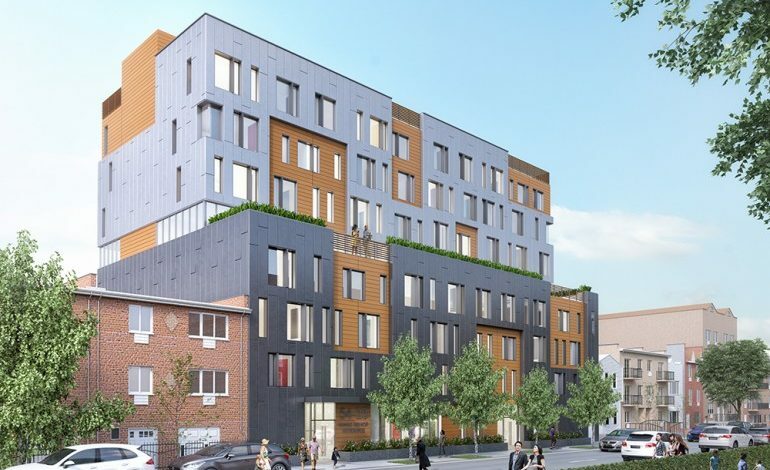 The Hellenic American Neighborhood Action Committee is now accepting applications from seniors for its 46 newly constructed units at 54-17 101 Street project in Corona, Queens. The HANAC Corona Senior Residence is a 68-unit, 8 story new construction project to be developed on a vacant 12,000 sq. ft.city-owned property located at 54-25 101 Street in Corona, Queens. The upper floors of this new construction designated to very low income seniors, earning no more than 60 percent of the Area Median Income; in addition 30 percent of the total building units (20) are to set aside specifically for formerly homeless seniors. In the ground floor a 5,150 sq. ft. child care facility will be collocate it with a rear yard that will include a shared vegetable garden, seating and tables for residents, and a children’s play area. An additional open space will be developed in the fifth floor and shall include outdoor benches and planters that open into a community room, where various resident service activities will be permitted to take place. The new construction will comply with NYSERDA, Enterprise Green Communities, and Passive House standards. The Hellenic Action Neighborhood Committee will provide seniors with a social service coordinator and health screening program to prevent avoidable hospitalizations. A preschool will also be constructed on the site by the School Construction Authority. A shared rear yard with a vegetable garden, seating and tables for residents and a children’s natural play area will also be included. Resident community room, laundry room, outdoor recreation area, high tech security system throughout the building, accessibility features, energy efficient appliances and lighting, and features to allow aging in place (seated showers, and rail-bars). On-site social services include training, education and wellness programs to be provided in partnership with senior centers in the neighborhood. Transit: Trains: R, M, 7; Bus: Q38. This building is being constructed through the Senior Affordable Rental Apartments (SARA) Program of the New York City Department of Housing Preservation and Development. Individuals or households that have at least one household member who is 62 years of age or older and who meet the income and household size requirements listed in the table below may apply. Qualified applicants will be required to meet additional selection criteria. Apply online or through mail. To apply online, please go to nyc.gov/housingconnect. To request an application by mail, send a self- addressed stamped envelope to: HANAC Corona Senior Residence, P.O. Box 249, 135 S. Black Horse Pike, Williamstown, NJ 08094. Only send one application per development. Do not submit duplicate applications. Do not apply online and also send in a paper application. Applicants who submit more than one application may be disqualified. When is the Deadline? Applications must be postmarked or submitted online no later than March 14, 2018. Late applications will not be considered. What Happens After You Submit an Application? After the deadline, applications are selected for review through a lottery process. If yours is selected and you appear to qualify, you will be invited to an interview to continue the process of determining your eligibility. Interviews are usually scheduled from 2 to 10 months after the application deadline. You will be asked to bring documents that verify your household size, identity members of your household, and your household income. Founded in Astoria, Queens in 1972 as the Hellenic American Neighborhood Action Committee, HANAC, Inc. is a multi-faceted social services and housing organization that serves the needs of vulnerable populations throughout New York City. Over the years, HANAC has grown to provide a broad array of services to immigrants, seniors, families, youth, and those struggling with alcohol and substance abuse. In addition to serving over 25,000 New Yorkers annually, HANAC has built and owns 350 units of affordable housing in Queens with special focus on seniors. 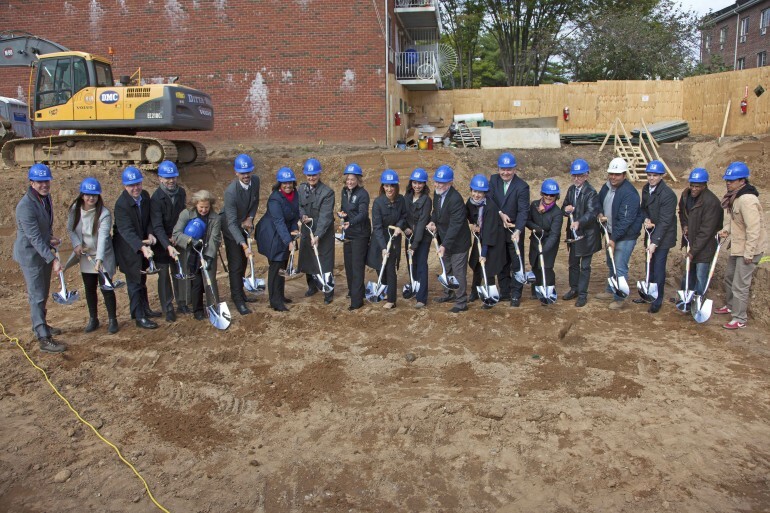 For the past 20 years, HANAC has played an ever-expanding role as a housing developer in the City of New York. HANAC currently operates three full service senior residences in Astoria, Queens. Service coordinators located at all three buildings provide comprehensive on-site supportive services for residents and work to enable them to live independently, remain connected to the surrounding community, and age in place in a dignified manner. In early 2019 HANAC will complete another big project in Flushing, raising the total number of housing units to 232.